Proper tree care is an investment that can lead to substantial returns. Trees add beauty and environmental balance to any landscape. Healthy trees are attractive and can add considerable value to your property, and poorly maintained trees can be a significant liability. To protect your trees, it is important to hire a qualified professional. 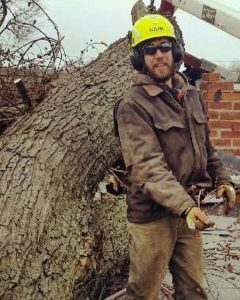 Able Tree Experts is a second generation company proudly serving southeastern Michigan residents for over 30 years; we provide tree care services in areas including, but not limited to Oakland and Macomb counties. We’re based out of Ray Township. Here at Able Tree Experts we are dedicated to 100 percent customer satisfaction, and it shows through our superior workmanship and cleanup abilities, as well as a laundry list of references to back it all up. Our qualified and knowledgeable staff give professional and reliable advice. Having the trees on your property trimmed to perfection differs from person to person—we want your trees trimmed to meet your demands. Here at Able Tree Experts, we arrange to have the homeowner or property owner present on every trim to ensure absolute satisfaction, and to avoid any confusion. This direct line of communication makes a world of difference when having your trees shaped or trimmed. Our crews are equipped with the most recent state-of-the-art equipment available, ensuring both safety of our workers and the most professional and affordable tree care services possible. All of equipment bears low ground pressure and is designed specifically for the tree care industry. We use a 75′ aerial truck as well as a 100′ boom truck for dangerous and hard to reach removals; that cuts down on operator fatigue and improves the well-being of your landscape. Our professionals are on call and ready for emergency service 24 hours a day, 7 days a week, in any weather situation. Whether you need a storm damaged tree removed from your house/building/car, or have an unsafe lightning struck tree or other type of dangerous storm damage hanging overhead — we have the equipment and means of completing the job swiftly and safely. We work directly with your insurance company to get you through the situation faster, easier, and free from stress. We look forward to serving you!